Even though the Mazda Shinari concept probably won't see the light of day as a production car, its design will indeed influence the next crop of Mazda's production vehicles. Case in point: The Minagi concept that is set to debut at the Geneva Motor Show in March. Take one look at this crossover concept's front end and the Shinari influence is crystal clear. When the Minagi comes to life, it will slot below the CX-7 within Mazda's lineup. In fact, we've already spied a test mule for this new small CUV, dubbed CX-5, meaning Mazda's plans for production are moving forward at a rather rapid pace. A good thing, since we're eager to see how this Shinari-inspired crossover looks in motion. 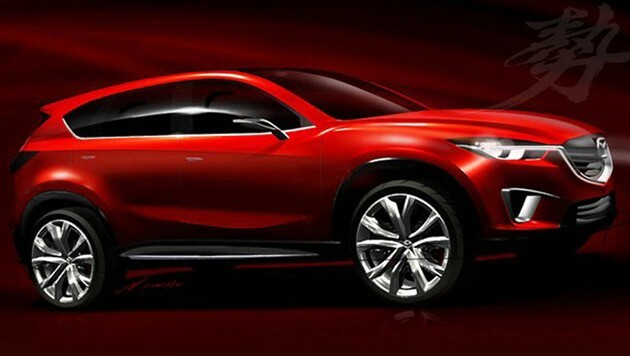 [sources: Autokopen (translated)]Mazda Minagi Concept leaks out ahead of Geneva debut originally appeared on Autoblog on Tue, 18 Jan 2011 11:45:00 EST. Please see our terms for use of feeds.